“One of us is always there.” That seems to be the situation in many homes, with parents not simply exchanging but restructuring their roles. 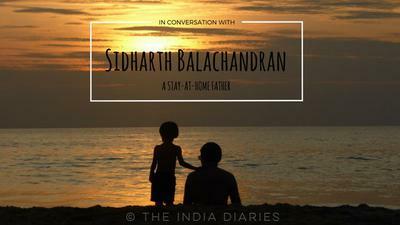 Sid Balachandran, a stay-at-home dad whose adventures in parenting make fodder for an award-winning blog (iwrotethose.com), has a family that defies all traditional bracketing. The Taming of the Queue is a documentary that aired in June 2017 on the Documentary Channel in Canada. 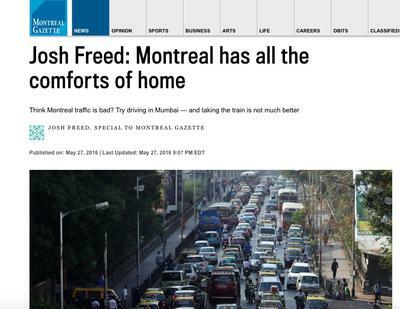 It was produced and created by award-winning journalist, writer and documentary producer, Josh Freed. The Taming of the Queue travels the world to see how queuing behaviour differs in different countries. Josh had reached out to me after reading my write-up about queues in India in the HuffingtonPost India, and subsequently incorporated some of the parts into this documentary. 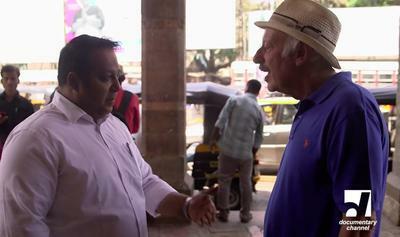 I was also part of the on-screen documentary crew talking about analysing the various types queues we saw around Mumbai. Currently, the documentary has aired only in Canada, however, the worldwide release is due soon. Still not a concept many Indians are familiar with, in fact most will unabashadly frown at being told that a man has willingly given up his full-time job to take care of his child – a stay-at-home dad is rare. This father’s day, while we are celebrating the oft neglected relationship of our lives, I decided to speak to fathers who are fulfilling the same role, albeit differently. An engineer by education, telecommunication professional Sidharth Balachandran decided to be a stay-at-home father to their then one-year-old son, four years ago. More commonly known as Sid, he is widely known as @iwrotethose on twitter. Four years ago, Sidharth and his wife had decided to relocate to India and the question of who will take care of their son, popped. 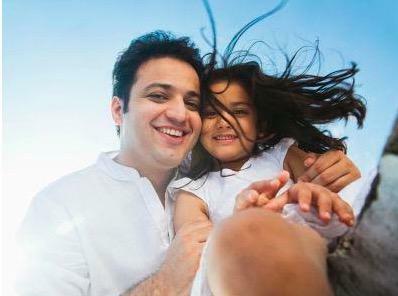 The concept of a stay-at-home dad might be alien in India but it is quite popular in the West. The roles and responsibilities are reversed wherein the father becomes the primary care giver instead of the mother. A telecommunication engineer by training, Sid Balachandran recently swapped his decade-long professional career and is now a 30-something work-from-home dad. When not running after his three-year-old son, tripping over LEGO blocks or pulling out food from his hair, he writes about fatherhood, parenting in general, fiction and satire on his blog: www.iwrotethose.com. 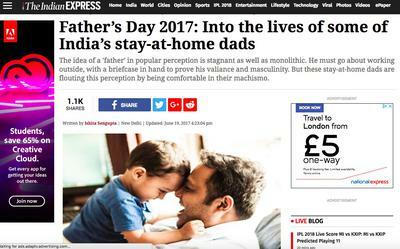 The concept of ‘Work From Home Fathers’ while slowly gaining popularity in the west, has yet to pick up and be accepted as a norm in India. 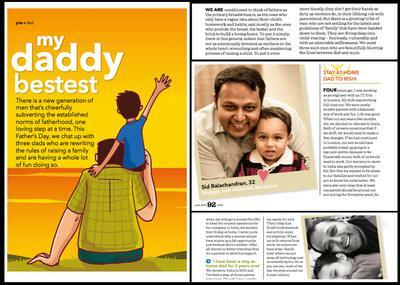 Enter Sid Balachandran, also known as Rishi’s dad, is working hard at changing the stereotypes associated with parenting, by doing it in the most obvious way possible – leading by example! 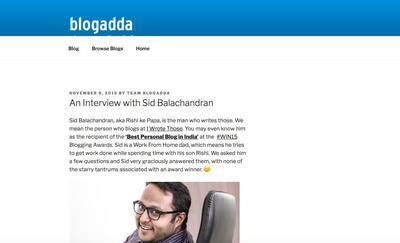 Sid is one of India’s most prolific, award-winning bloggers and you can find his work at www.iwrotethose.com. 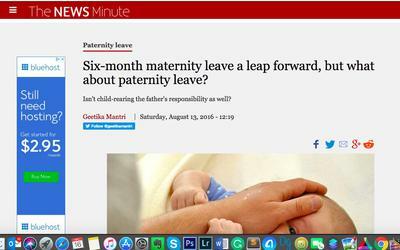 Six-month maternity leave a leap forward, but what about paternity leave? 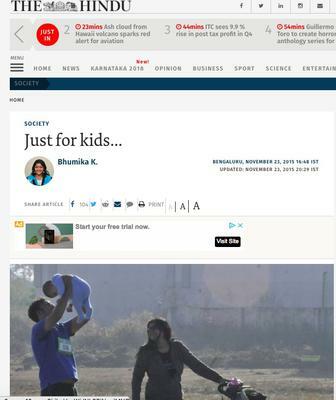 Isn't child-rearing the father's responsibility as well? Bengaluru-based writer Sidharth Balachandran surpassed the leave clause altogether and became a stay at home father three years ago. While Siddharth and his wife took the decision willingly and mutually, it was met with shock from relatives, friends and colleagues. “They didn’t say it openly to my face but I have enough reason to believe that I may have been the crux of many of their jokes,” he says. Meet three dads who have redefined the father-child relationship. Sid Balachandran is the man who 'writes those'. We mean the person who blogs at I Wrote Those. You may even know him as the recipient of the ‘Best Personal Blog in India’ at the #WIN15 Blogging Awards. Sid is a Work From Home dad, which means he tries to get work done while spending time with his son Rishi. We asked him a few questions and Sid very graciously answered them, with none of the starry tantrums associated with an award winner. Confessions of a Stay At Home DAD ! Stay-at-home dads are very unusual in India, making them a subject of interest, curiosity, inquisitiveness, and sometimes disdain. So what exactly happens when the so called “normal” order of things is disrupted—and roles of a man and a woman, or a wife and a husband, or a father and a mother, are reversed? 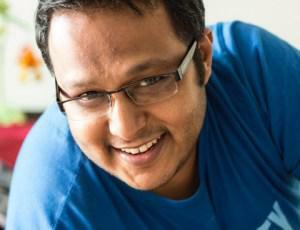 Academically an engineer, Sid recently swapped his decade-long professional career to be a work-from-home Dad. 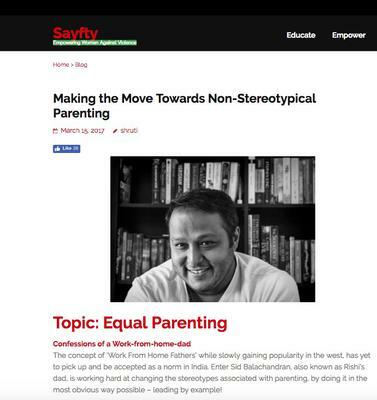 In a country where mothers are supposed to be the primary caregivers and nurturers, we talk to popular blogger and Stay At Home Dad (SAHD), Sidharth Balachandran. A Stay At Home Dad is a new concept in India. Since women are usually the primary caregivers, it is rare to find a man taking on this role. 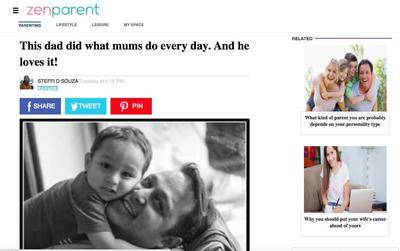 It seems rather unimaginable to expect a man to ‘choose’ to give up his career to be a stay-at-home Dad’.